During the winter months of 2018, Mr P. van Deventer, residing in August Westhoff Street, reported a water leak to the local municipality and workers responded to his complaint. According to Mr Van Deventer, the workers arrived at the area where the water had been leaking for quite some time and stated that they would have to remove a large tree, as its roots were damaging the water pipes underground. The workers proceeded to cut the tree down, but the water leak still persists! As the weeks and months went by, Mr van Deventer reported the matter numerous times, without any success. 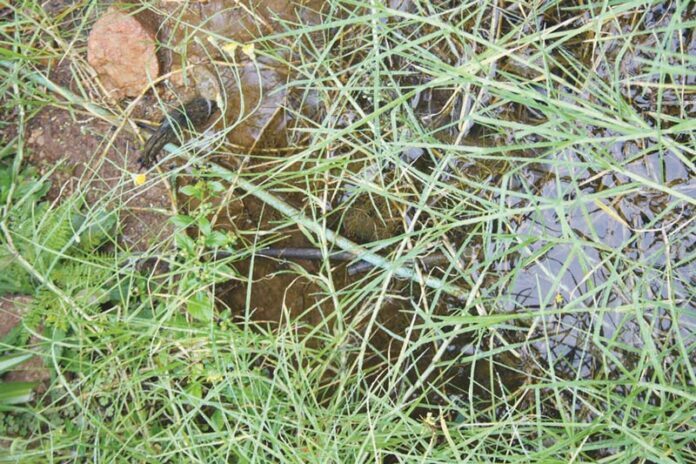 He then decided to make a plan so that the water does not completely go to waste and laid pipes to water some vegetation in the area. Thereafter, the water became too much and he decided to dig a trench in which the water could run down the street. On Tuesday, 26 March, the water leak was still a problem. The Excelsior News reported this matter to the Communications Department of the Mkhondo Local Municipality and feedback is pending. A few months ago a motorist lost control of his vehicle and as a result drove through the handrail of the bridge. Even before this accident, the handrail was in a dilapidated state. It would be much appreciated if the responsible department of the municipality could fix this permanently. Other rails of bridges in Tosen – and Brand Street need attention too. Pedestrians make use of these mentioned bridges daily. It will be a sad state of affairs if someone has to get injured because of this. 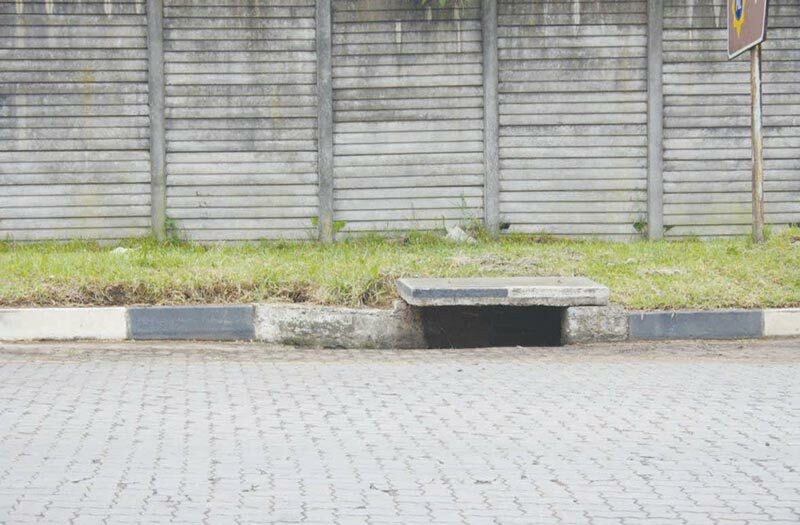 What is the purpose of a stormwater drain and are all of the drains in Piet Retief currently functioning properly? A storm-water drain is a network of underground pipes, designed to control flooding, by moving storm-water from urban areas to its destination (river or a dam). Stormwater collects due to excess rain and water not soaking into the ground and thus washes down into the storm drains. Did you know that storm-water drains play a pivotal role as excess water can lead to flooding and bacteria may grow in stagnant water, creating a health hazard? 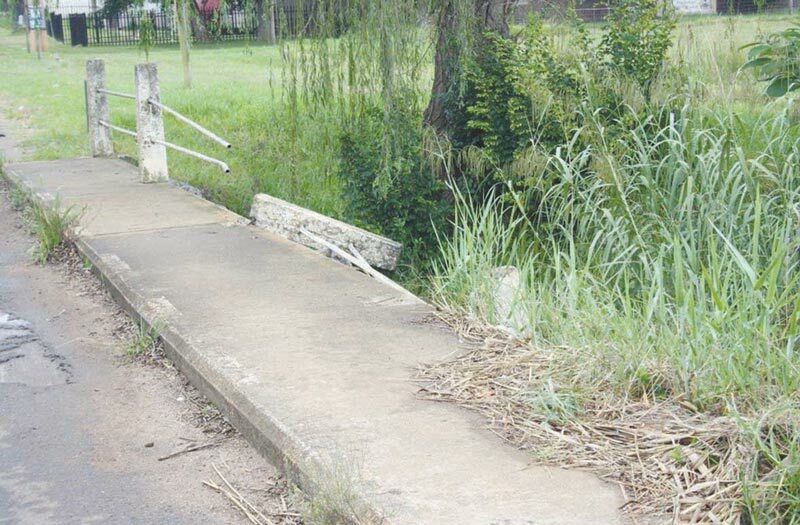 The storm-water drains in Piet Retief have been under a magnifying glass on numerous occasions and when it rains, it is often evident that rain water cannot flow into these drains as most are blocked and damaged. This results in the water gathering on the road surface. On Monday, 25 March, municipal workers were seen at the corner of Kruger – and Kotze Street as they were hard at work cleaning and repairing the storm-water drain on the street corner. Now this is how a drain should look! Hopefully, in time, all the various problematic drains throughout town will receive the much needed attention.